Do you fear getting robot like students that do know all about language an math but don't have a clue on feelings and how to interact with each other? Are you afraid your pupils don't develop empathy or the skill to view a situation from different angles? Art provides a firm base that is wider than only language and math. Your students will also think over what it is like to be a human being in this society and what art does in it. Why people have been making art for centuries and what its function is. For why is it people dress up? Why do they go to the hairdresser? Why do they have a well designed house with a painting in it? Why is it normal for a winner to receive a statue? Forming the lessons is always done together with you and your team. I love to make lessons that mix different disciplines, for example, sculpting, writing, interviewing, presenting. When we make portraits I'll introduce the lesson with art history and art appreciation. What do you like? Do you know why? Do you all agree on the beauty or ugliness of a certain sculpture? Is this a problem? Can your opinion change? With the sculptures we’ll make an exhibition, possibly with a book, a nice memory but also a great keepsake to show people that want to know more about your school. 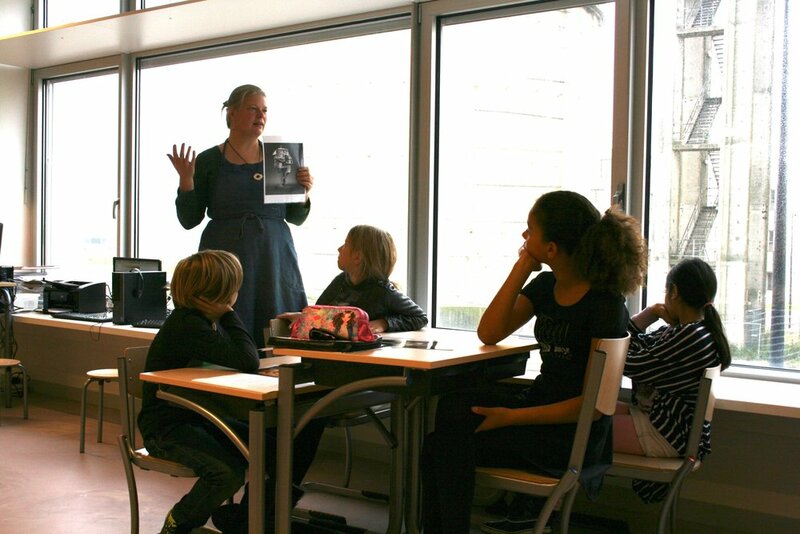 In the last years I have taught all kinds of groups in different schools, with age groups starting at 6 years in the Netherlands to students at the Carroll University in the US, kids in Bjørkelangen, Norway. At Poremvanmokum.nl you find a huge project made in Amsterdam.